This outfit was worn by the character "Mariane Graves," portrayed by the actress Goldie Hawn, in the 1990 motion picture, "Bird on a Wire." 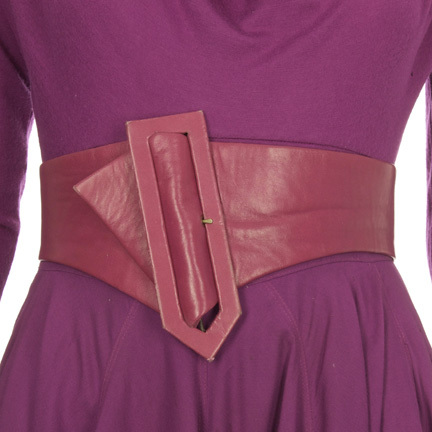 This costume consists of a purple cotton turtle neck sweater with a matching skirt and belt. Ms. Hawn wore this outfit throughout much of the film and can also be seen wearing it in various promotional images for the film. 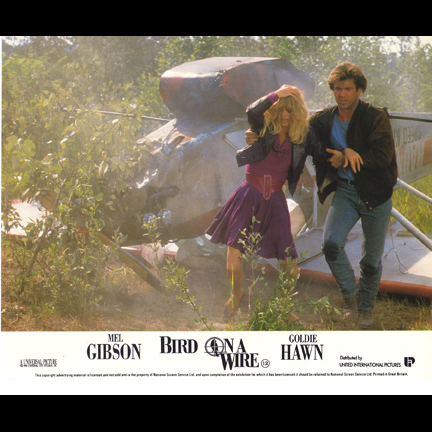 "Bird on a Wire" starred Goldie Hawn, Mel Gibson, and David Carradine.